You probably don’t want to signup for the Money Smart Life email newsletter because you already get more email than you have time to read. I feel the same way, I guard my email address very closely and promise to treat yours with the same respect and privacy that I use to protect my own email. The goal of the newsletter is to offer loyal readers like you additional resources to help you make or save more money and improve your life. You can submit your name and email below to receive the newsletter. 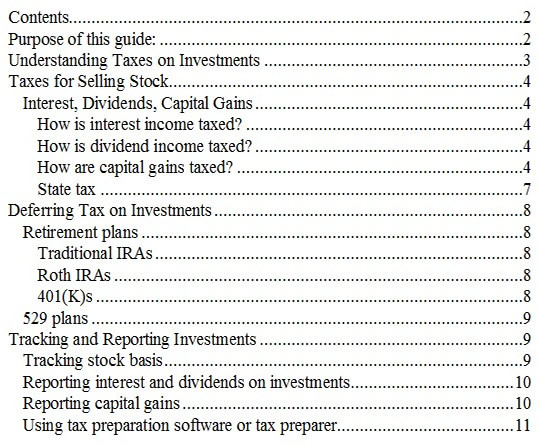 One example of the quality of content you can expect from the newsletter is the Investor’s Tax Guide. If you’re a regular reader you probably took our investing survey and may know that many of the questions related to tax issues regarding investments.